Combine the HELLMANN'S Deli Mayonnaise with sweet chilli sauce to complement this Asian style coleslaw. Your customers will love your new salad idea with this recipe. 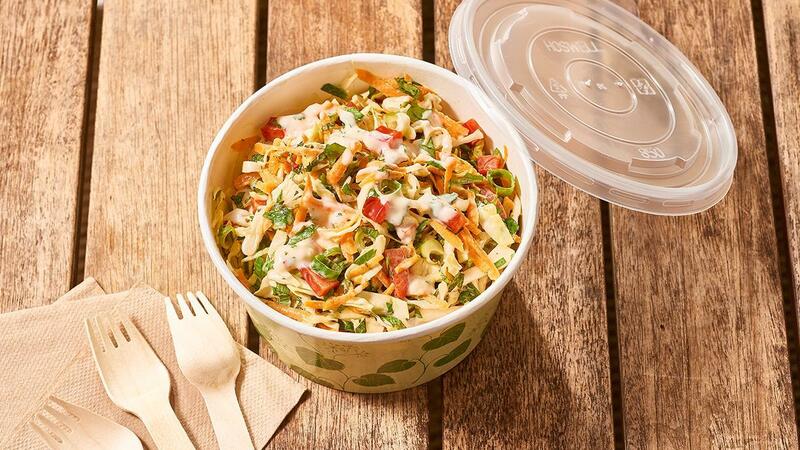 Toss cabbage, carrot, capsicum and green onion together in a large bowl. Fold through herbs. Combine HELLMANN'S Deli Mayonnaise with KNORR Thai Sweet Chilli Sauce GF and fold through coleslaw. Display the salad garnished with more chopped herbs.